Create, to the extent possible, fully traceable reference-quality measurements for a number of measurement techniques that are close to such maturity (Task 2.1). Analyse existing comparisons and observations to provide more indicative uncertainties for observations from the remainder of the global observing system capabilities (Task 2.2). Undertake metrological auditing and produce best practices documentation for improving instrument characterisation (Task 2.3). 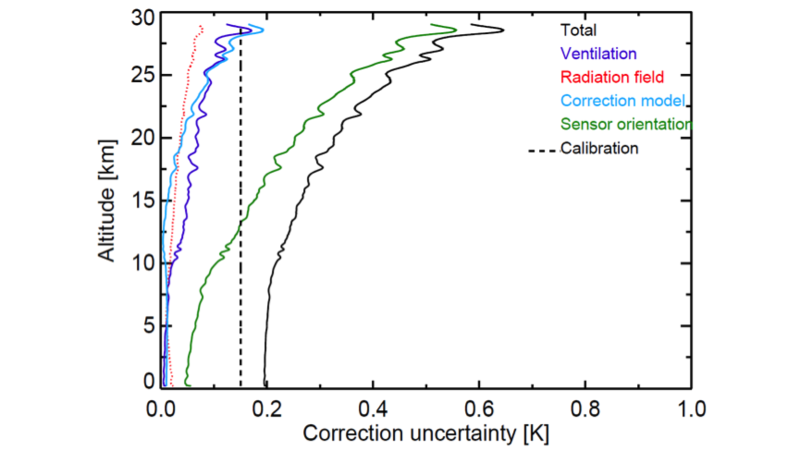 Figure: Example metrological characterisation of a radiosonde profile from Dirksen et al., 2014. First traceability model diagrams can be found here. Product Traceability and Uncertainty (PTU) documents can be found here.